As a whole, the energy sector has had its share of turbulence in recent years. But the oil & gas industry in particular has suffered from a number of significant challenges - from price fluctuations to legislative barriers and natural disasters. In a sector where operational risk management and commodities trading rely on early awareness, the question is: are businesses responding fast enough to opportunities and incidents? Increasingly, data will play a key part in enabling this faster decision making. So as the barrel price remains uncertain and operational stability becomes more critical, this data-led competitive advantage will become essential. An industry that is rooted across the the globe, the oil & gas sector has faced the uncertainties of an ongoing tense geopolitical landscape. As relations between Russia, Europe, the US, the Middle East and China (amongst a raft of others) remain unstable, the emergence of threats to operational sites and challenges in the economics of the market have been accentuated. Similarly, there are shifting supply and demand relationships. While major players investigate new markets and optimistically open new platforms, the volume of major discoveries has been in sharp decline over recent decades, with a continuingly poor outlook. And where existing resources can still be exploited, disruptions caused by natural disasters have added to the uncertainty. Looking at the bigger picture for the sector, another potential roadblock lies in the sentiment shift towards low-carbon energy sources, with public perception of fossil fuels consistently challenging alternative energy sources to be brought to the fore. Many economically influential nations are increasing their commitment to new models for powering their economy. Following US withdrawal from the Paris Agreement, the EU has publicly asserted its target to reduce carbon emissions by 40 percent below 1990 levels by 2030, pushing on to a 60 percent drop by 2040. Individual member-states are also making commitments in this direction. One high profile example of the effort to achieve this is Germany’s Energiewende, which sees the nation undertaking a transition to the use of renewables. Spending in Germany on research into new sources runs at around EUR 1.5bn per annum, and while the majority of European nations do not have this sort of financial firepower, it reinforces the resolve of the bloc as a whole. For oil & gas majors, this weaves a complex picture of legislation, political posturing and public sentiment. On the one hand, reliance on oil & gas persists in the region across most facets of the economy, but on the other, the certainty of this situation can be measured by just a few tens of years. The perception of oil & gas is evolving in a number of ways. In a region such as Europe --where some nations have contiguous boundaries and some are separated by time zones and mountains within their borders - transportation is a key part of the economy. But shifting legislation and trends in consumer preference are imposing new demands on the fueling of public transportation. In response, the aviation industry is exploring new fuel types, such as biofuels, while also being subject to the EU ETS. And change is being seen even more aggressively in the automotive space. The number of petrol and diesel powered vehicles is set to be reduced significantly. The UK Government, for example, has asserted that the majority of all vehicles sold by 2040 should be zero emissions. One million electric cars are already on the roads across Europe, and 2040 could see the implementation of another potentially landmark EU proposal for all vehicles sold in the region to be zero emissions by this time. These shifts pose interesting challenges and opportunities for oil majors, who may see traditional revenues challenged, while new avenues open up in their increasingly diversified portfolios. Beyond direct market conditions, the oil & gas industry is facing additional obstacles: digitisation and the optimisation of data. In many cases, legacy infrastructure owned by the major providers is dated. This limits progress made in discovery, new revenue streams, business optimisation and brand reputation. It also creates inherent tension in the commercial model for traditional owner-operator corporations, because carefully guarding profits can close off pathways to new opportunities for growth. 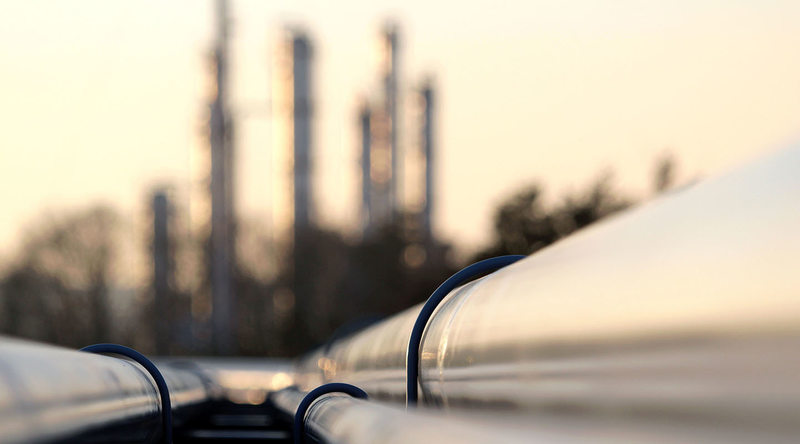 As price-per-barrel fluctuations continue to impact profit margins, oil & gas firms must carefully manage a vast range of business priorities to keep pace with the rapidly-moving events that surround them. This might be announcements on OPEC behaviours or speculation on volumes required by the airline industry. Such pressures demand that oil majors become more competitive in their trading divisions, become more adept at at accessing the latest economic news, and improve responses to commodities alerts. Rumours can move markets, and portfolio management will increasingly rely on improved contextual awareness. As corporate security teams are flooded by data from multiple facilities across multiple geographies, they must optimise security processes at every operational level to mitigate risk. This will encompass everything from event monitoring to executive protection. So while a security team may be strong in a region that is long-established for the business, how do they improve resilience in less familiar terrain? Further pressure is created by the need to guard brand reputation - as incidents break publicly and quickly - necessitating real-time communications during periods of crisis management. But highly responsive reputation management can only happen when firms have access to truly relevant information. The role of corporate communications is significantly complicated by the fact that incidents may occur on unbranded assets that could belong to either your organisation or to the competition. Without full situational awareness, it’s incredibly difficult to plan your response to get ahead of the news. Unquestionably, digitisation is permeating the upstream and downstream operation of the sector. But a profound challenge remains in how firms source, manage and act upon data. Digitisation is not just about putting new systems in place - it’s about changing the nature and speed of responses. Oil & gas businesses must evolve to get better at turning information chaos into opportunity. This is the critical new area of exploration for the sector. Public Relations professionals gathered around a table discussing a plan in real-time. Alternative data integrating into workflows.